Welcome to the 316th Inspire Me Tuesday. I think I need another house and garden, there is so much inspiration and I want it all. Check out a few things from last week and if you missed anything, go back and see it all. Getting the deck ready for summer is something we are all doing this time of year, and wow, did Old Things New knock it out of the park with her makeover. Love her French Courtyard. How fabulous is this. There have been some absolutely gorgeous porches this year and one of my favorites is this one by Housepitality Designs. I love her planters and see that wonderful little fountain tucked in there. There is so much more to see, so be sure to pop over and enjoy it all. 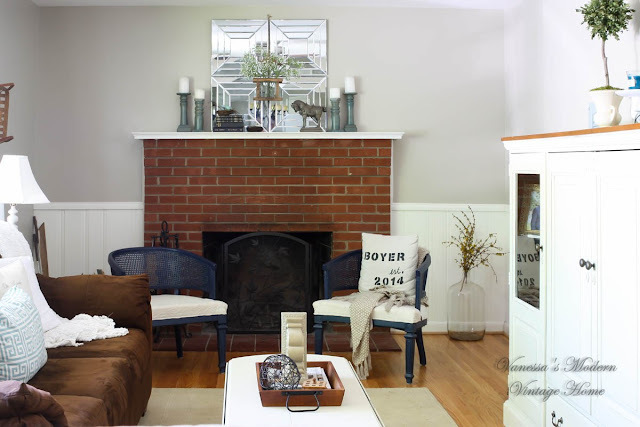 I adore a thrifty room makeover and this one from Vanessa's Modern Vintage Home is fabulous. She put this whole room together from scratch for $500. Be sure to check out how the room looked when they bought the house. That's another unreal makeover. Here's another fabulous makeover that shows what you can do with more creativity than money. I love this bathroom. They share the step by step details at Clover House. Life on Kaydeross Creek shows us how to shop those garage sales and come away with all the good stuff. Plenty of tips and tricks here, plus she shares some amazing makeovers too. Ok, let's see what you have for this week. Party Guidelines Follow (GFC) and/or subscribe to A Stroll Thru Life Please include a link or my button in your post By linking up,you are giving A Stroll Thru Life permission to use any picture or content to share as a feature or on social media outlets. If you like Thrifty & Chic on a Budget, I would love to have you follow me. Please go to the source of a photo to pin it to Pinterest so that the originator of the post gets the credit. Hope you had a fantastic Mother's Day weekend. Thanks for hosting each week. Thank you for hosting each week, Marty. I hope you had a heart warming Mother's Day. Beautiful features, as usual, Marty! Thank you for hosting every week and I hope you have a great week. Love the gardens! Thanks for hosting! Thank you for the linky, Marty. I need another house too - I love too many things! Thanks for hosting and enjoy your week! 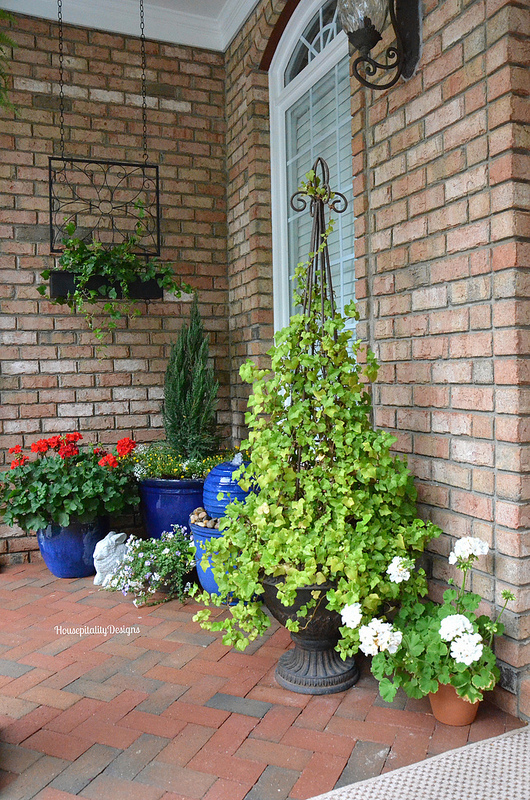 I was thrilled and honored to see my "French Courtyard" featured this week! You are the best Marty! WOW, so many great posts. It's hard to pick a favorite one. Thanks so much for the great party. 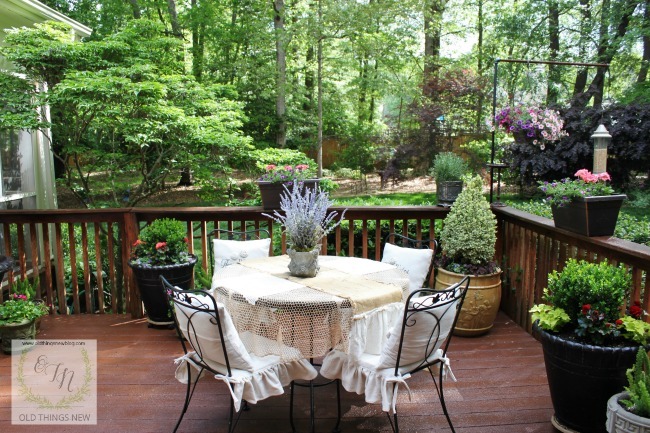 Love seeing all the beautiful patios and gardens. Great features! Thank you for another wonderful party, Marty! Wishing you a fabulous week! Thank you for hosting, Marty! Thanks so much for hosting, Marty. Hope you have a great week! I'm always so delighted to be here, dear Marty, thank you for hosting me ! Thanks so very much for the feature and compliments Marty!...Have a most wonderful week! Thank you so much for the party Marty!!! Love all the features...so pretty and as always your parties draw some of the most amazing inspiration. Wishing you a wonderful week! Hi Marty, thanks for a wonderful party, i'm so glad i have something to share today. Wonderfully inspiring outdoor table setting in the garden ...love it! 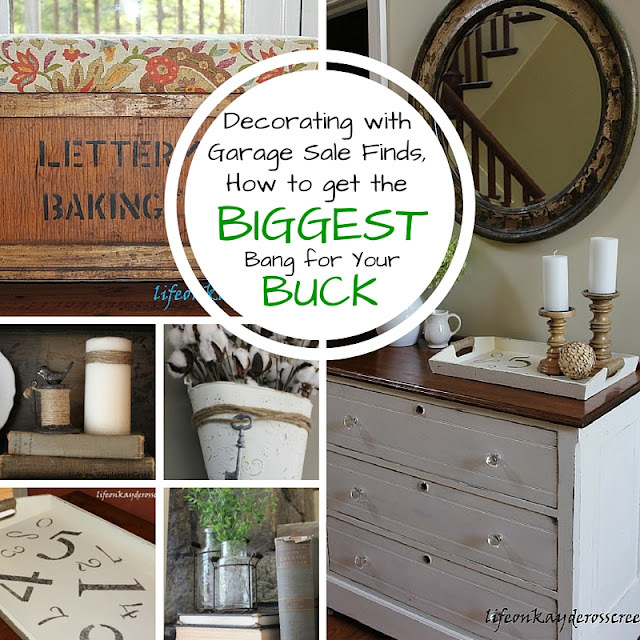 Thank you for hosting this party I always love finding new blogs to visit! 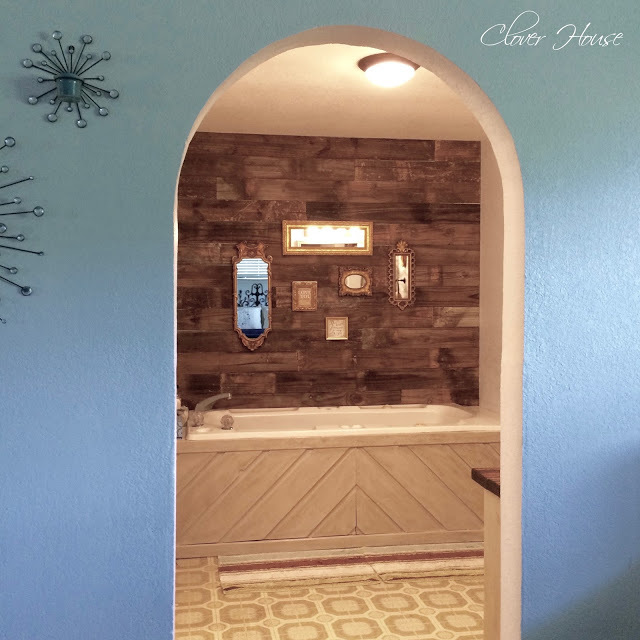 Oh thank you so much Marty for featuring my Mini Bathroom Makeover! I always enjoy your party so much! Have a lovely day! Hi Marty! Thank you so much for hosting and for featuring my post on garage sale finds this week!